– A small polished metal sphere with four protruding booms is poised to launch atop a Russian rocket into Earth orbit, replicating and paying tribute to the achievement that began the Space Age 60 years ago. On Tuesday (Sept. 12), a miniature model of Sputnik, the world's first artificial satellite, will lift off on board the Soyuz MS-06 spacecraft, serving as the "zero-g indicator" for the mission's three-person crew. The scale Sputnik's flight will commemorate the 60th anniversary of the original made-made moon's launch on Oct. 4, 1957 from the same site at the Baikonur Cosmodrome in Kazakhstan. 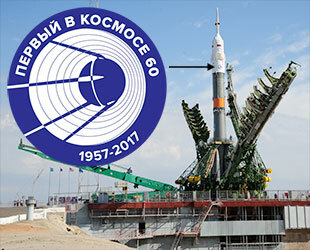 "We've gone from 60 years ago having a satellite in orbit, to having not just one, but multiple people in orbit together, from multiple nations," said NASA astronaut Mark Vande Hei, who with Joe Acaba of NASA and Russian cosmonaut Alexander Misurkin of Roscosmos will fly on Soyuz MS-06 to the International Space Station. 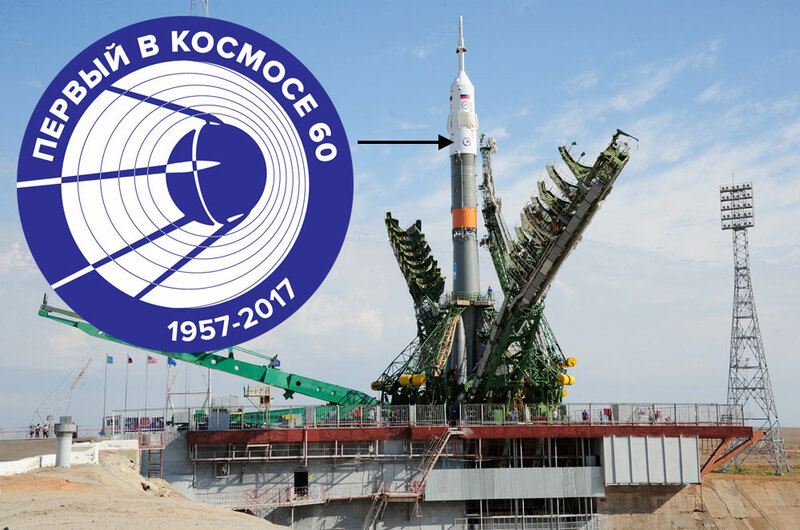 Vande Hei, Acaba and Misurkin are set to launch Tuesday at 5:17 p.m. EDT (2117 GMT; 3:17 a.m. Sep. 13 local time) on a Soyuz FG rocket from Site 1, the same Baikonur pad where Sputnik lifted off in 1957 and where the first human, Soviet cosmonaut Yuri Gagarin, left Earth for orbit in 1961 (leading to Site 1 also being called "Gagarin's Start"). The Soyuz MS-06 launch vehicle has been decorated with a logo celebrating Sputnik being the "First In Space, 1957-2017." 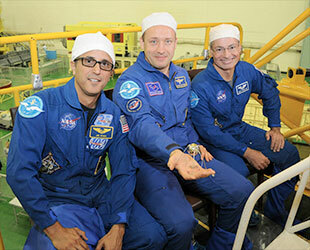 "Obviously, we've come a long way," said Acaba, referring to the past six decades of space exploration. "If you look at the International Space Station, it is just an incredible art of engineering. We have come a long way, but the interesting thing is we're still learning a lot." About nine minutes after the launch, following shutdown of the rocket's third stage, the Sputnik model hanging above Acaba, Vande Hei and Misurkin will begin to float, offering a signal they have entered orbit. 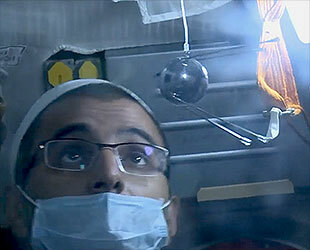 Flying small models, toys or dolls as zero-g indicators date back to Gagarin's fight as a Russian cosmonaut tradition. 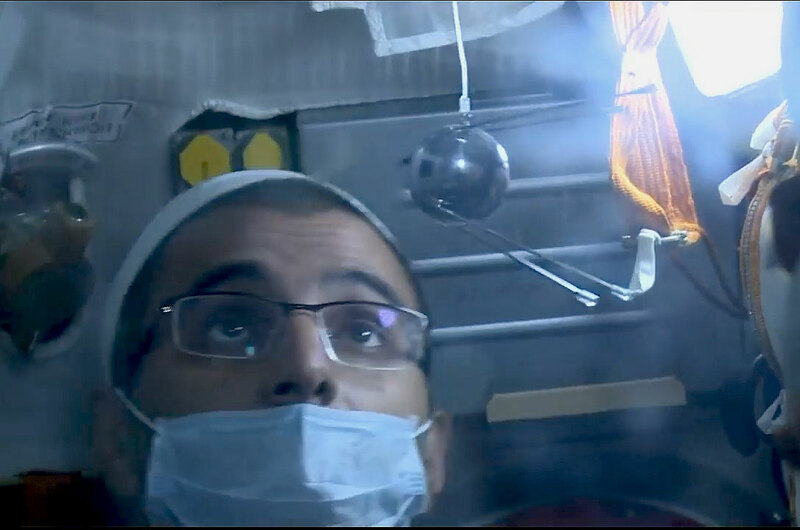 The small Sputnik was made for the crew by RSC Energia, the Russian aerospace contractor that provides the Soyuz for Roscosmos. "It is very symbolic because it was developed by Energia and made from parts of the Buran," said Misurkin, referring to Russia's former space shuttle. The original Sputnik was in Earth orbit for 21 days, circling the planet 1,440 times, before being destroyed while falling back into the atmosphere. Sixty years later, its golf-ball-size replica will fly on board Soyuz MS-06 for six hours as the crewed spacecraft completes a four-orbit rendezvous with the space station. It will then stay there at the orbiting outpost through late February, when Misurkin, Acaba and Vande Hei are slated to return to Earth. 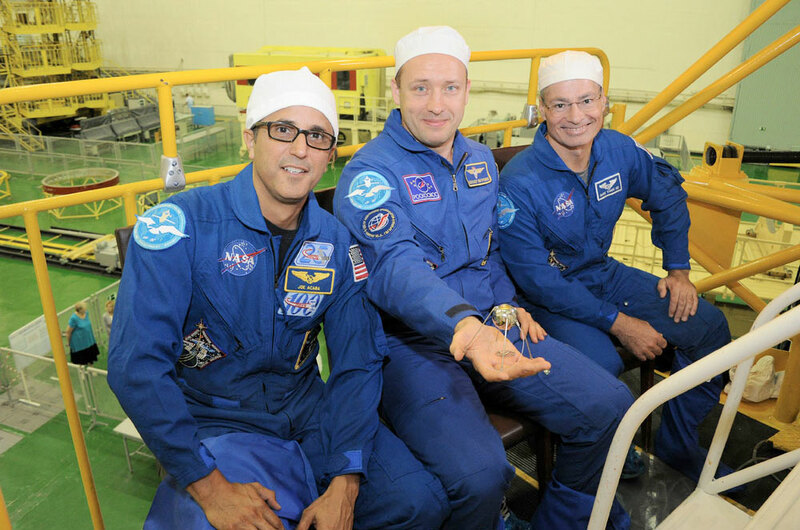 Once at the station, the MS-06 crew will join Expedition 53 commander Randy Bresnik of NASA, Sergey Ryazanskiy of Roscosmos and Paolo Nespoli of the European Space Agency (ESA), who arrived on Soyuz MS-05 in late July. In addition to starting the Space Age, the launch of Sputnik 1 by the former Soviet Union marked the beginning of the Cold War space race with the United States that continued through the first crewed landing on the moon by American astronauts in 1969. The first U.S. satellite, Explorer 1, was launched on Jan. 31, 1958, almost three months after the Soviet Sputnik 2 with the first living animal in space, a dog named Laika. Ryazanskiy, whose grandfather was the chief designer for radio transmitters during the Sputnik era, helped mark the 60th anniversary by deploying student-built nanosatellites during a spacewalk outside of the space station in August. The International Astronomical Union (IAU) also recently announced that a large plain on the surface of the dwarf planet Pluto, discovered by NASA's New Horizons probe in 2015, has been named "Sputnik Planitia" in honor of the first satellite. This article was edited after being published to include a quote from Misurkin about the Sputnik model's source.